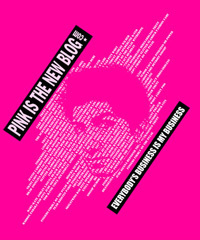 • Continuing the trend of blogger t-shirt lines, Trent over at Pink is the New Blog has unveiled a new shirt, which is available in really gay pink. Donâ€™t worry, Queerty will soon launched a line of cocktail dresses and handbags. • Gay.com has the rundown on the first episode of Project Runway. We like all the contestants remaining, but weâ€™re still sticking to our initial gut reaction. Our money is on Santino Rice. • The Queer Eye backlash continues. Even The Gays are over it. • Cool Hunting has compiled a holiday gift guide and weâ€™d like one of each. Please.